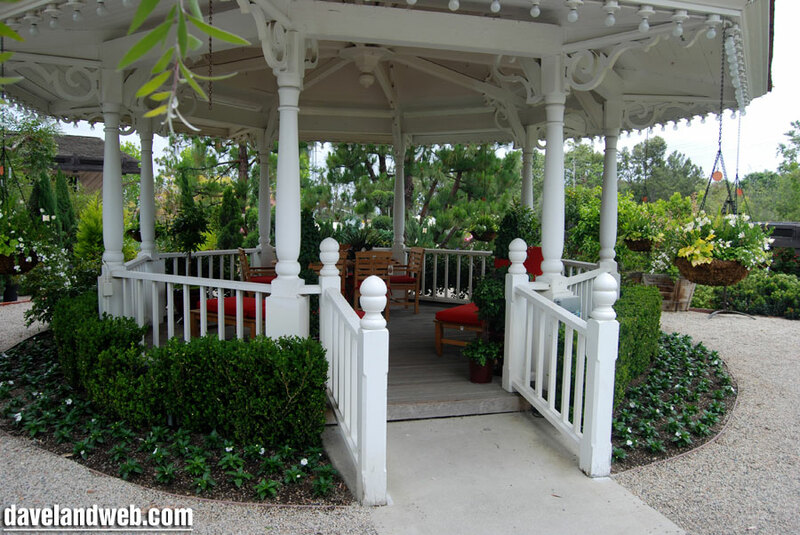 This Bandstand/Gazebo has a very active history with Disneyland. 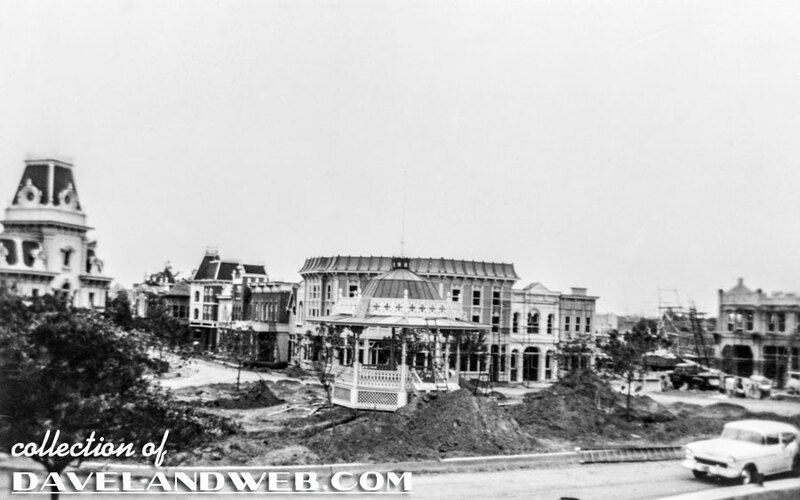 Originally slated to be smack-dab in the middle of Town Square, Walt and his team realized shortly before opening that it would block the view of the Castle, thus ruining the perfect cinematic “long-shot” one would get looking down Main Street. 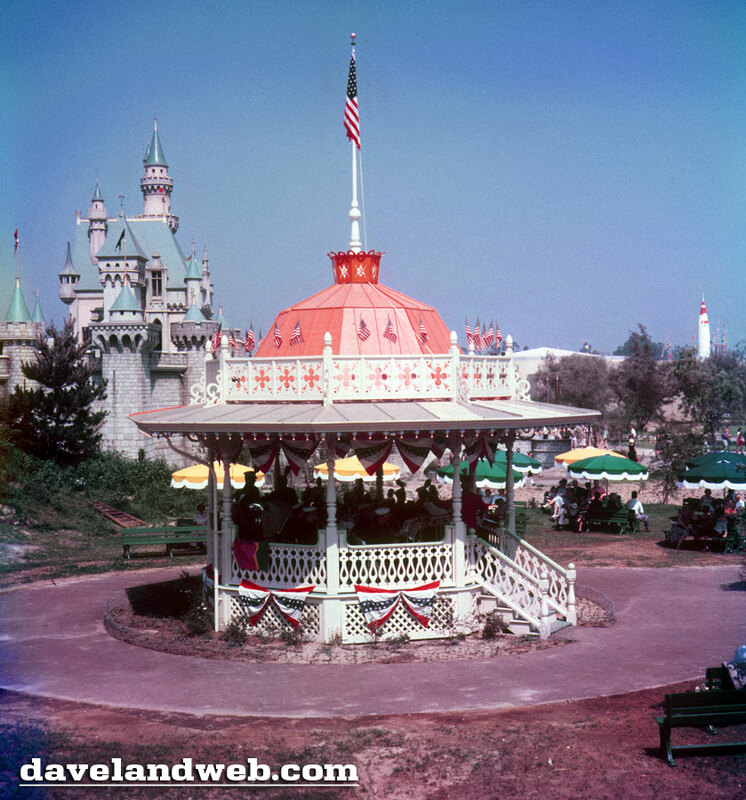 So, it was quickly decided to move it to the left of the Castle, where it would be home to Vesey Walker & The Disneyland Band. Shot #2 is from July 1955...even a good possibility that it is opening day. With its design rooted in Main Street (note the ornate Gingerbread trim), it really was out of place in this location. The final death knell came when the Jungle Cruise needed to expand in 1962. 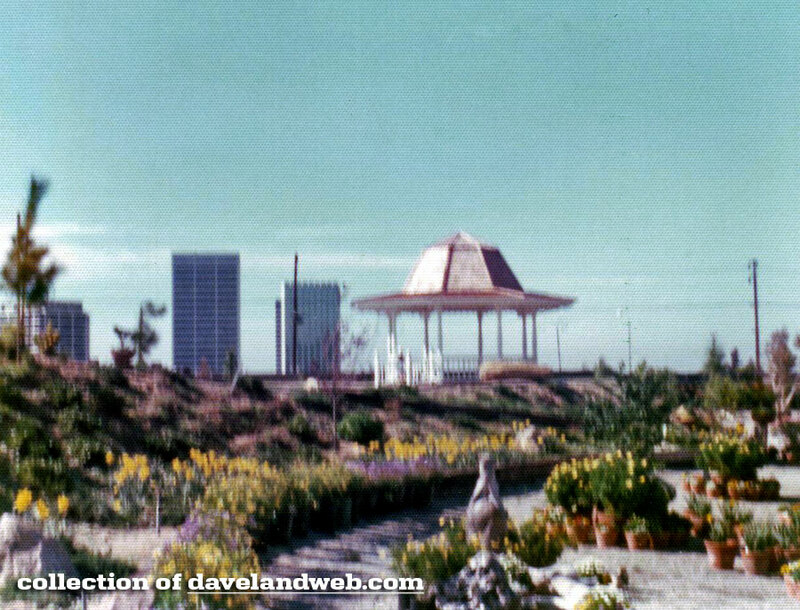 Magnolia Park was removed, and the bandstand was donated to the City of Anaheim. We’re not done yet folks! 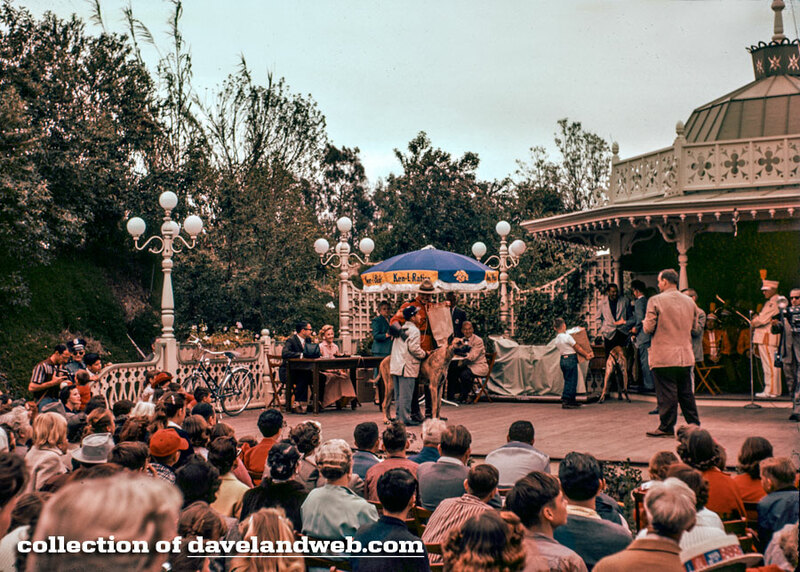 Move #5 was next, as apparently Anaheim didn’t really have much of a use for it either (poor little Bandstand...are you crying for it yet?). Recently, I was contacted by the current owner (thus the reason for this post which uses photos that I have shown previously) who was gracious enough to share the following images with me. 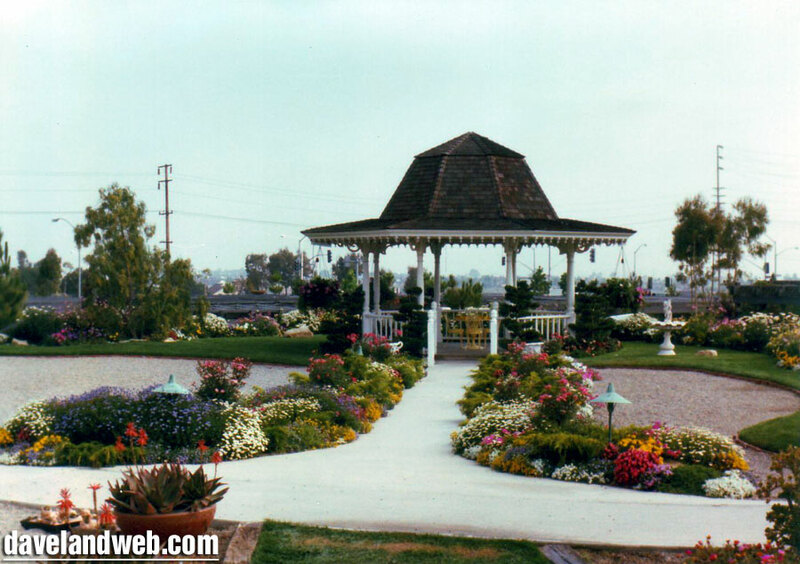 The City of Anaheim contacted Rogers Gardens in Corona del Mar, gave them a full day (!) to pick up the bandstand, and voila, it finally seemed to have a permanent home. This view is from 1975; it appears that although much of the upper trim has been removed, that the roofing might still be original. And here are some present day shots; most Disneyland fans would not even notice that this structure is part of Disneyland history unless told. It has been significantly altered from its original design, yet the interior trim still remains, and is easily compared to some of the other historic photos posted here. It still carries the design hallmarks of many Main Street buildings, as well as the Victorian-looking Frontierland Railroad Depot. Many thanks to Rogers Gardens for their generosity in sharing these images with me. See more Bandstand photos at my main website. "Before & After". 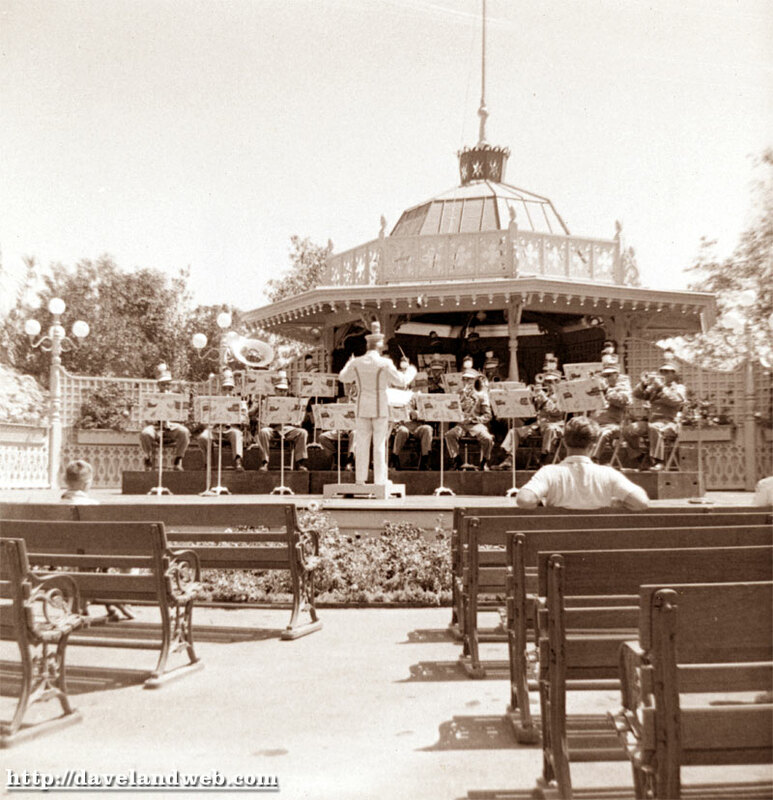 I heard the bandstand was still around, nice to know the history now. THANKS! I guess you said that you had posted image #2 before, but it's still an amazing photo! Great color, and of a rarely photographed item. 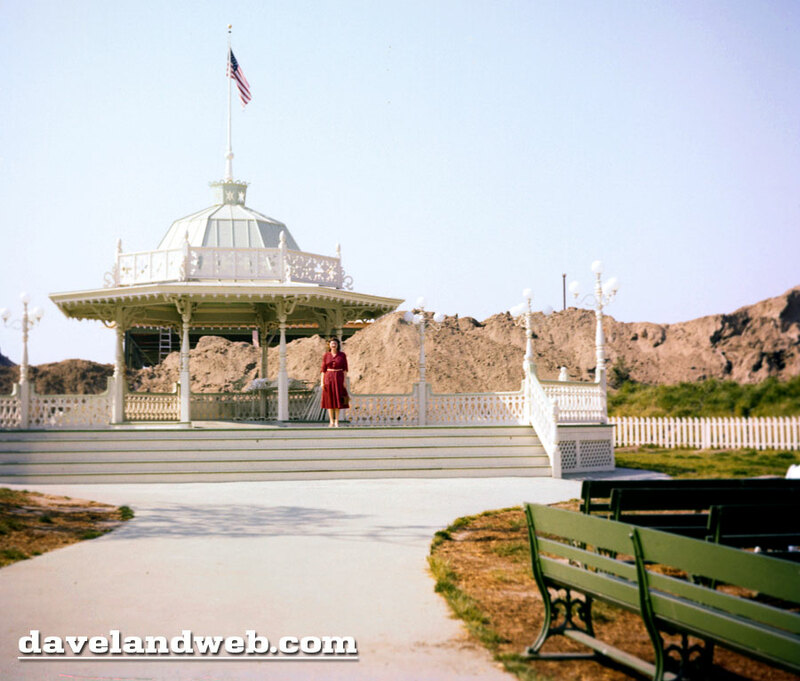 I really appreciate the history of the little bandstand that could! Somebody needed to write this post sooner or later. Nicely done! Oddly enough I've been at Roger's and walked past that gazebo twice in the past two weeks. 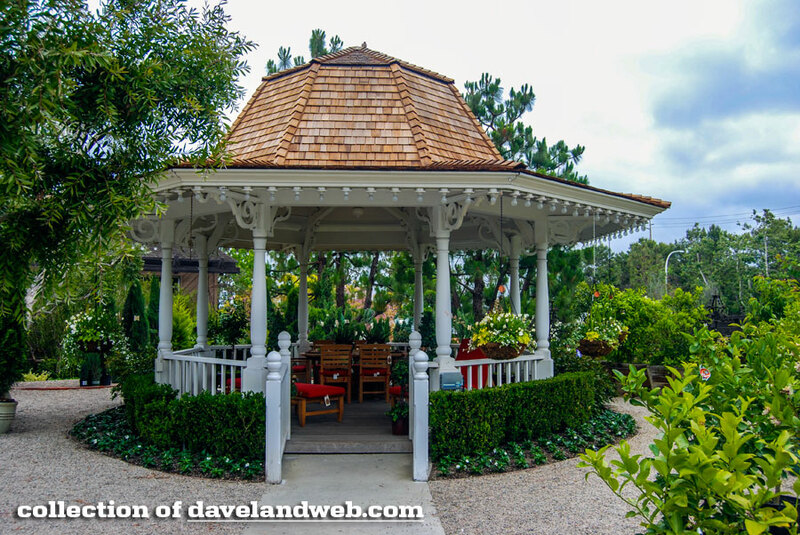 We used to go to Rogers Gardens at least several times a month, and have sat in the Bandstand many time with my (then) little daughters. I even commented to my wife that I thought it was a "copy" of the one at Disneyland. Go figure! I still have the measuring cup for their furtilizer. Great history article. Love this stuff. 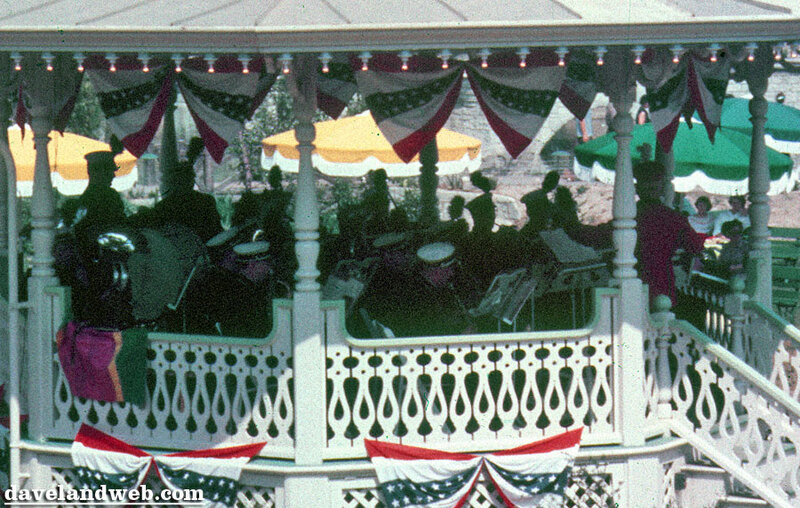 We had heard that Walt wanted to move the bandstand for another reason, too - not just because it blocked the view of the castle. There was a question of scale once the structure was in place. Your first shot really makes it clear. If you compare the scale of the bandstand with the forced perspective buildings behind it, it does look a little out of place size-wise. Your first photo tends to perhaps confirm this second story better to us. Thank you, Dave. Wonderful post, Dave! An artist friend of mine recently did a signing in the gazebo at Rogers. She was thrilled!